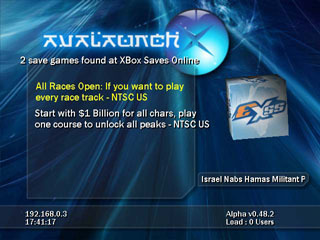 Here you see an xbox connected to xboxsaves.com, and preparing to download a saved game. 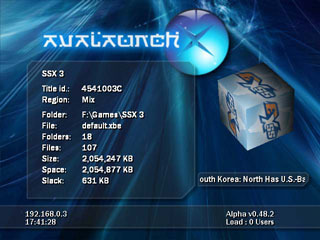 The file properties of a game displayed by Avalaunch. 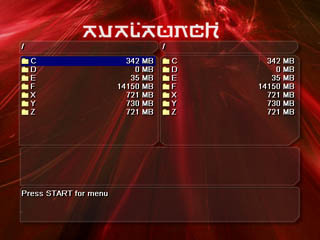 You see such information as Folder, Region, Number of Files, and Size on disk. Avalaunch has a built in File Manager which means no more switching to another application just to move games. Not only that, but this Filemanager will allow you to connect to a remote FTP, such as another xbox, and transfer files to and from it, all from within the dashboard! 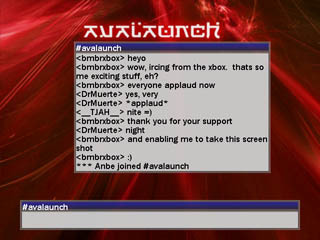 That's right, you can connect to your favorite irc channels from Avalaunch. Ok, so you might not use this one all the time, but it's still pretty cool!